Mexico City is badly rattled. On Tuesday—32 years to the day after a giant earthquake killed as many as 10,000 people in this very place—seismologists and city dwellers got another major shock. 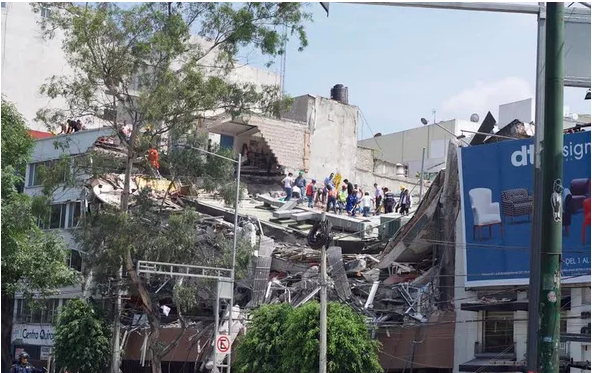 A rupture in a fault that had not worried building planners or seismologists caused heavy damage throughout the city and took the lives of more than 200 people. The implications of this new quake may shake the foundations of how people prepare for temblors not just in Mexico but also throughout the world. The first thing to understand about Tuesday’s quake is that Mexico City was built on a lakebed, which makes quakes’ effects quite extreme. The area’s original inhabitants, the Mexica, built their capital on an island in the middle of sprawling Lake Texcoco, attached to the shore by a network of dikes and bridges. Over the next 300 years the Spanish and then Mexican governments filled in the lake, turning the island into a sprawling metropolis of some 25 million people.